A surprisingly difficult shade to get colour accurate I've got three shots of Flaunting it on my lips in slightly different lighting so you can get an idea. I think the best representation is the top picture, but it really does look different on depending on which light setting you're in. 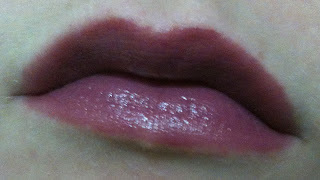 I love this shade because it's not too dark nor too out there for everyday wear but it is still really unique. Just something to consider getting during the upcoming S3/C3 collection release. 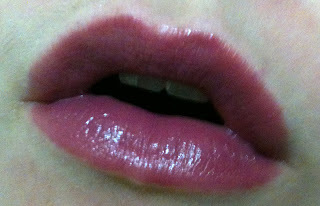 You can see my Kissable Lip Colours review (staring two other shades that aren't being re-promoted at this time) Here! Hope this little post was helpful! Quick New Years Day Look!